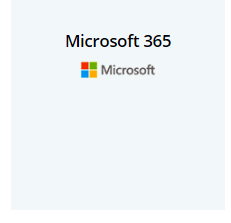 Bringing together Microsoft 365, Windows 10 Pro Security Features (upgrade option if on Windows 7, 8 or 8.1 Pro) and the best of Enterprise Mobility + Security, Microsoft 365 helps your customers to build a successful business. An all-in-one, cost-eﬀective product that protects their business from threats, supports their journey to GDPR compliance, and gives them the freedom to work on the move. All this with easy set up from one simple admin console.